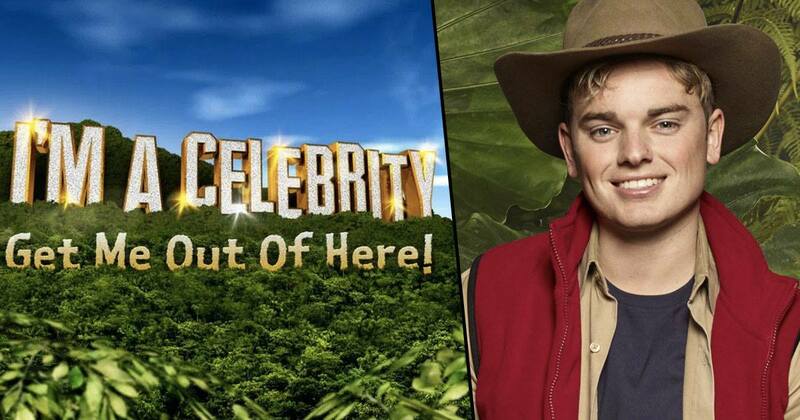 Popular YouTuber Jack Maynard has made a shock early exit from the I’m A Celebrity jungle. ITV has reportedly made the decision to axe Maynard following rumours of his behaviour on social media before he agreed to join the show. Due to circumstances outside camp Jack has had to withdraw from the show. Jack’s publicist said he has left the jungle as he had been ‘unable to respond’ to allegations against him and it was ‘only fair’ he should have the chance to defend himself, reports The Telegraph. I’m A Celeb is well underway now and everybody is already developing firm favourites within the camp. Amir Khan and Stanley Johnson are already on people’s lips as definite winners, despite Khan’s evidently crippling fear of snakes. 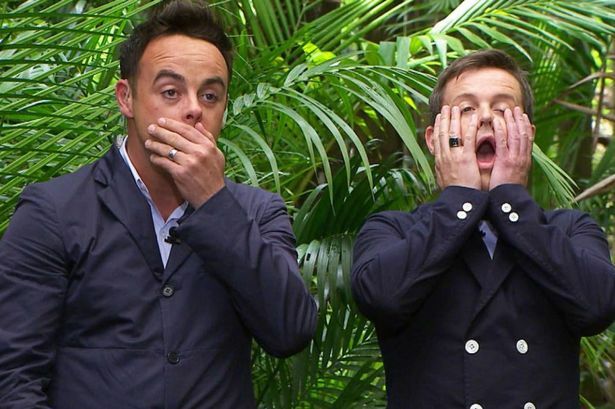 But this might all be about to change, with the introduction of two new I’m A Celeb campmates. Radio host Iain Lee and Scottish politician Kezia Dugdale have been snapped making their way into the jungle, presumably towards tomorrow night’s episode, according to Digital Spy. Obviously, we’ll see a teaser of their entrance tonight, and it’s not going to be a smooth transition, but the big reveal will come tomorrow. Kezia Dugdale was the leader of the Scottish Labour Party until the end of August, though she is still an MSP for Lothian. 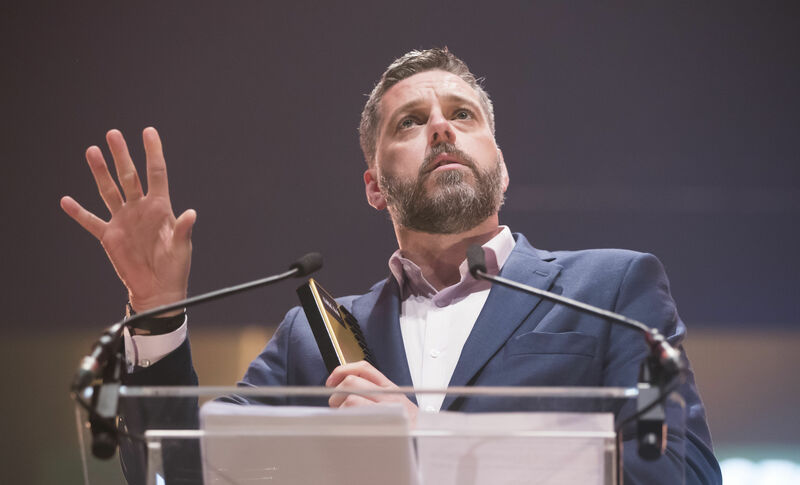 Iain Lee is the host of The Late Night Alternative With Iain Lee on Monday nights on talkRADIO. There’s been a fair bit of controversy this year on I’m A Celeb already, after fans noticed a mistake that was more than a little off when watching the first episode on Sunday. 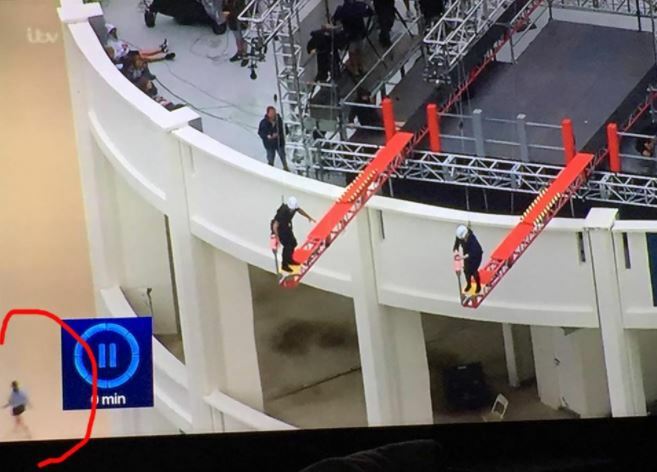 It all went a bit awry when the celebs were made to walk out on the red plank on top of a massive building, battling their own balance and the billowing winds atop the structure. The post has been shared tens of thousands of times at the time of writing, and has fans discussing just what’s going on in the picture. Another also pointed out aside from the strange woman on the ground, it’s very conspicuous that the other celebs are nowhere to be seen on the building watching. Obviously, there could be some explanation for these errors in the shot, but it does seem just a little bit fishy. That still hasn’t stopped fans loving the new series and picking their winner of the show already. 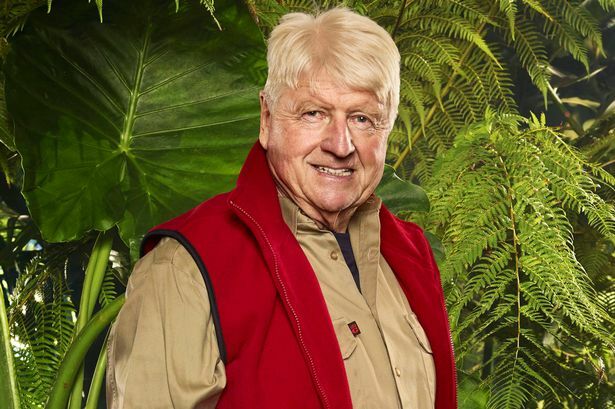 One hour and 45 minutes into the new series and Stanley Johnson already emerged as fans’ favourite to win the entire thing. It seems pretty obvious where Boris Johnson gets his buffoon-like charm from as his old man Stanley has already got people talking about just how funny he is. Of course, Stanley isn’t the Foreign Secretary putting British nationals’ lives at risk abroad but he seems to possess the very same sort of charm that has led his son to such success in the political sphere. We’re already two episodes in and the controversy is already ramping up. It’s good to have the show back.